Messaging below is intended for ages 21+. 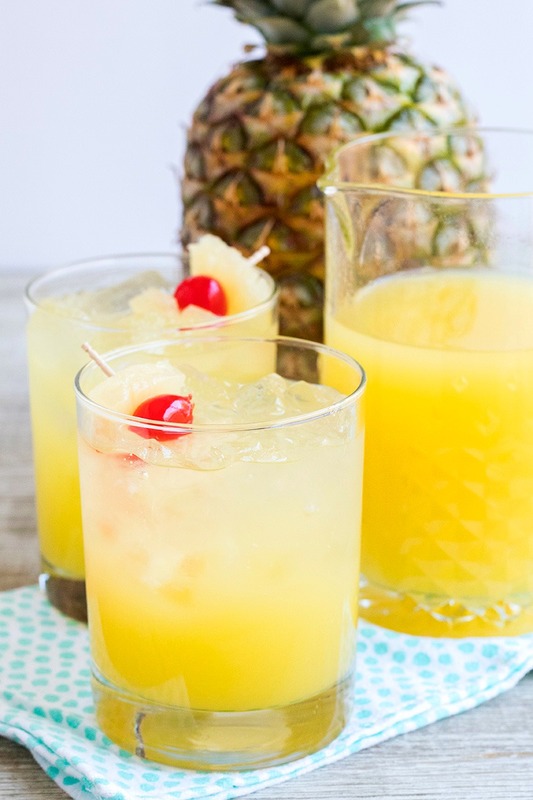 Bring the tropics to brunch with this easy Pina Colada Rum Punch! A crowd-pleasing cocktail that goes down easy and only uses 4-ingredients! When the weather turns nice it always gets me thinking of spring and summer cocktails. 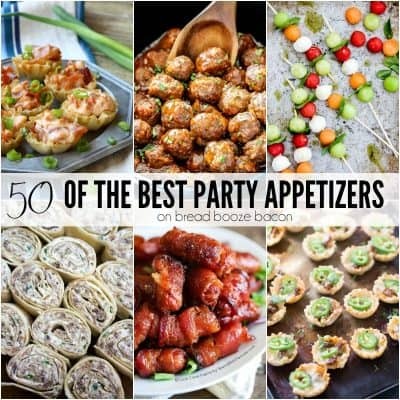 Drinks perfect for brunch, afternoons by the pool, or warm evenings on the porch hanging out with friends. As much as I like whiskey, rum punch is my go-to recipe this time of year. 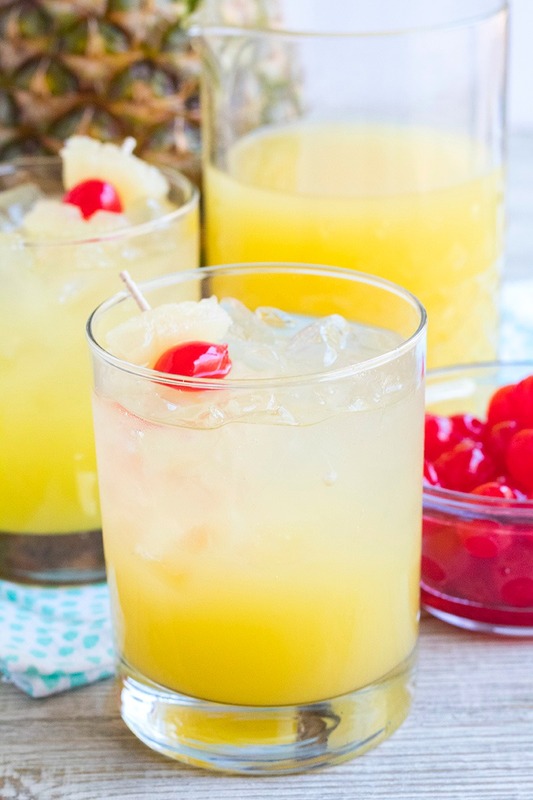 Rum pairs wonderfully with tropical flavors and fruit juices. With Easter right around the corner, I’ve been concocting a crowd-pleasing brunch cocktail. 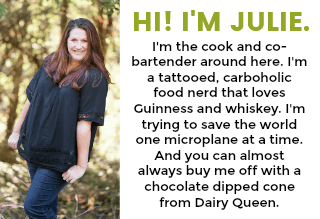 Because we all know brunch without booze is just a sad, late breakfast…and we can’t have that. To a punch bowl or pitcher, add rum, fruits juices like pineapple and/or orange, flavored syrup like grenadine or coconut, and sliced fruit for garnish. Pretty simple right? I used a silver rum for this rum punch recipe, but you could also use a coconut rum or a combination of the two. The coconut rum will boost the coconut flavor from the Torani Coconut Syrup even more. Pineapple juice is a must. I mean it’s called a PINA (pineapple) colada people. Then to help balance out the sweetness of this punch, a little club soda mixed in for fizz and to lighten things up. As far as rum punch recipes, this one is at the top of my favorites list. Now, if you’re making this cocktail for a crowd, you’ll want to double the recipe. Turn this cocktail into a pina colada punch bowl or pina colada pitcher and add pineapple chunks (rind on! ), cherries, and even some kiwi slices (for color) to make things pretty and get some major presentation points. Follow Torani on Facebook & Instagram and the #AToraniBrunch hashtag for more inspiration! 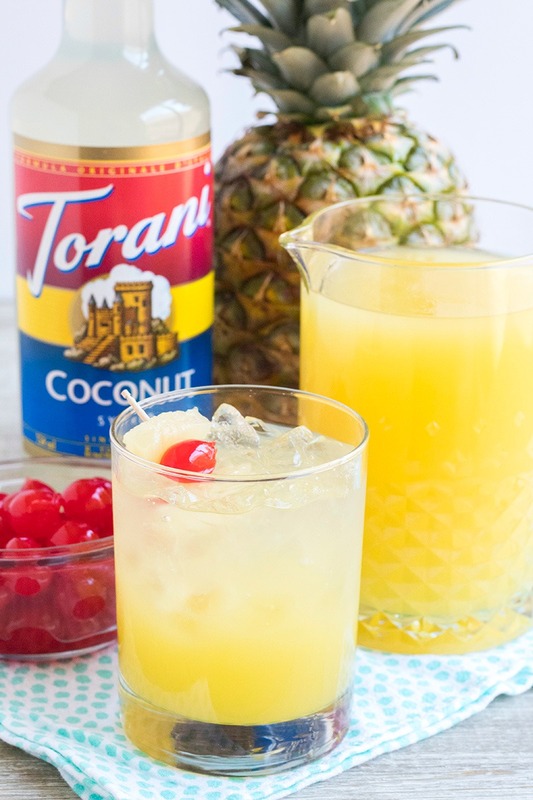 To a cocktail mixing glass, add rum, Torani Coconut Syrup, pineapple juice, and club soda. Use a bar spoon to stir the punch together. Fill a rocks glass with ice. Pour punch over the ice until full. Skewers a pineapple chunk and cherry with a cocktail toothpick and place on top of the drink. Serve immediately. Double this recipe to serve it up for a crowd! If serving in a pitcher or punch bowl, add pineapple chunks (rind on!) and cherries to the pitcher or bowl for presentation points. I love anything to do with coconut. Great recipe! I have never tried these syrups, so I don’t have a favorite flavor. I was amazed at all the flavors they had though. The first ones I’d try are the watermelon, cherry, and coconut ones. This recipe looks amazing! I’ve never used the coconut syrup, but I’ve used many other flavors of Torani. I’m gonna have to go get me a bottle! I love coconut! All the flavors sound so good! Waiting for the first summer day to try it! My favorite Torani syrups are the sugar-free flavors, great flavor, and safer for diabetics like my mom. I love anything pina colada……this is just yummy, yummy!! Love this product…sugar free French vanilla in my coffee and any of the other flavors on ice cream or in tea. Yum..
Almond Signature Syrup or Vanilla Signature Syrup. Can’t wait to try this flavor! I love the vanilla in my coffee and also like mango. I’ve only tried cherry in Italian sodas and caramel in coffee. Coconut sounds awesome and I love pina colada. I’d have to say my favorite syrup is sugar free french vanilla. Having had bariatric surgery I can’t have more than 5 gm of sugar. Syrups like these make it possible to indulge without making myself sick!